I have always been fascinated by the subconscious mind in my psychotherapy work. And my studies in “Family of Origin Therapy” assisted my understanding and therapy with clients profoundly. From this work I perfected a form of personal family of origin analysis interpretation and explanation to assist others. I spent years working in psychotherapy and many more years working with hypnotherapy and hypnosis to assist others in their therapy, recovery and understanding of themselves. This personal family of origin interpretation and analysis is a blueprint for this subconscious understanding. You will also have the opportunity to have your own personal family of origin interpretation, your personal symbols interpreted, your tree drawing interpretation, your mandala drawing interpretation as well as the forensic graphology interpretation of your own handwriting. All of these analyses coupled together will give you powerful information about yourself, your life, your goals and your personality. Remember, the interpretation needs to be done in this correct form, using these valid techniques in order to be truthful information. Roles within families can and do powerfully affect the ability to interface with the world. These roles can effect health, well-being, and relationships, especially if the person moves through life with a sense of denial or no information about how to positively live the birth order role . If this role is not working, the behavior can be altered in a more positive manner. Totally shifting a role, thinking there will be no repercussions, can be devastating, however. One of the more visible and, at the time, interesting Presidents of the US, was a middle child of a very large affluent family. He was a sickly child who longed for his mother’s attention and nurturing. What he got was a very absent mother and was left in the care of a nanny most of the time. His father was competitive and lived from the philosophy of a person being expendable within the family if they did not adequately play their role within the family system. This child got to see that his acting-out sister was labeled as different and given a lobotomy to make her more compliant. She was also sent away from the family and lived in an institution until her death. This middle child had made up his mind to play the role of the college-level professor and writer. This profession would suit his nature which was that he liked books, time to himself, disheveled ways of dressing, and the limelight only when he chose it. He was headed in this direction until the most awful thing imaginable happened to him. 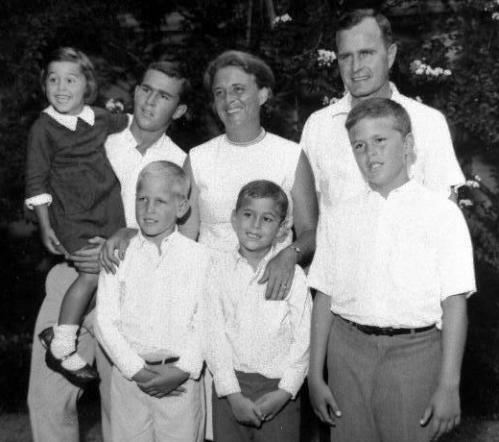 His oldest brother had been groomed to be the President of the United States by his father. His older brother was handsome, loved to dress well , extroverted, loved the limelight, and liked to lead. His older brother had unfortunately taken on characteristics of the father also in that he liked living on the edge of danger. The older brother chose a very dangerous flight with explosives during World War II and the plane he was flying exploded killing him in the process. What happened next? The middle child, without time to grieve his older brother or his sister who had the lobotomy, was bumped up into limelight position. All of a sudden, his clothes had to be perfect, one of his books was cleaned up by a ghost writer (never substantiated but suspected) and won a Pulitzer. His choice of women to date was also now monitored. No longer could he openly choose the large breasted, slightly tarnished looking women he preferred. He needed a mate who would be acceptable to the world. What happened to this man who moved in the blink of an eye from lost child/middle child to limelight/first born child? He apparently excelled for a while. He was actually intellectually brighter than the original first born. When groomed properly, he could hold his own with the original first born in the looks department. He put on a good show when the competitiveness showing was needed, but where his older brother loved to be competitive, this man would have preferred to read or write a good book. He kept a competitive pace with his father watching constantly, however. He found a suitable and quite presentable woman to date. They eventually married with the world watching and his father orchestrating. Things looked as if everything would work for a while. 2. He cheated openly, but the media protected him. The ones he cheated with were the illicit, “love- of- the- gutter” types. His father had had that shadow also . He mimicked that shadow even though he didn’t have the huge fortune to cover his tracks which his father had. Things became harder for the father to keep things covered-up for this son. 4. He and his brother took on dangerous types to try to prosecute. Ironically, information has come out recently that the family fortune may have been linked to the bootlegging controlled by these types. Their openly going after this group, may have been a form of subconscious rebellion against the father. 5. At age 47, annihilation came in the form of violence through assassination and the role was over. The shift from middle to first born role was devastating to this life that ended at a young age. Autopsy reports show that he had advanced kidney disease. Psychologically, kidney often represents: Am I safe in my world? Ironically, the other middle child of this large family who was lobotomized, lived to be quite elderly in the institution. She had literally lost her ability to process the world through emotion. She had become a robot emotionally. This first born son had separation anxiety at age six. His sister, who looked like a twin to him, was taken away for a year for treatment for leukemia. The thinking at that time was to protect children by not telling them all information. This first born and his brothers were shuffled around their small town for a year, staying with friends. They were separated from each other so that the friends would only have one child in the home. Their mother stayed with the sister getting treatment in New York at the hospital. The father stayed at his family apartment in New York and came to the small town rarely to check on his other children. When discussing this situation as adults, the oldest is still angry as witnessed by his description. The middle played mascot with his comment and said: “At least we weren’t sent to a kennel.” The second middle stayed invisible with no comment because there had been scandal twice already in his life . The youngest child, Marvin, has remained out of the limelight totally, and Doro was not born when all of this was happening. The only two children living at the time of their sister’s death was six year old first born and a very young toddler, the third child born at the time. 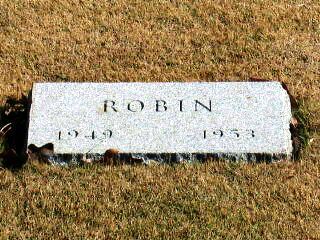 The sister, Robin, did not make it and died from leukemia without the children being prepared for what was happening. She died one year later. During that year the children had been separated from their parents, their physical home, from all siblings, kept in the dark about what was happening, and then presented with the death of their sister. First born gets into teenage and young adult alcoholism. He is a C student at two Ivy League colleges where his Dad and Grandfather had been Phi Beta Kappa. He floats through life and relationships until fairly late in his young adulthood. He meets a young woman, who is an only child, and she does an intervention on his alcoholism. They marry. He cleans up at that point and begins to play first born rather than the rebellious scapegoat he had played during adolescence and young adulthood. His next brother: had the good looks of his father. Loved to dress well and was Phi Beta Kappa at the Ivy League schools of his father and grandfather. He, however, married a woman not chosen by the family, and she was of another ethnic group. He played the role of middle child almost to the letter. The first born is angry when talking about the situation. The child next to him tries to diffuse with mascot behavior. A youngest boy child is never written about, photographed rarely, and the media never really zero in on him at all. He has managed to stay basically invisible . The boy next to the second born son was the closest to his mother. He had learning problems which she attempted to address. As an adult he was involved in one business scandal and one personal scandal. He looked different than the other children and stood out as the only blond. 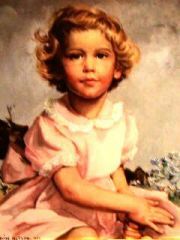 A sister was born after the death of the first sister with little written about her life except that she attempts to intervene in the lives of her nieces and nephews by providing help, especially at times of crisis. 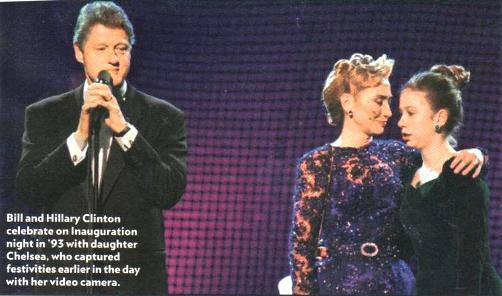 She has been divorced and remarried during her brother’s two terms in office. Not much other media attention has been given to her. When it came time to choose a political candidate to promote which child was chosen? Was it the Phi Beta Kappa Child with the Ivy League education who dressed well and personally stayed out of trouble ? No, the first born was who had cleaned up was chosen. Reason: role lines are usually very rigid without conscious acceptance of what is happening within the system. The media is saying the marriage has had problems. The addiction may be back. Obviously, health has suffered and severe aging has happened to this first born. The elders still cover and deny facts. The child next to him has gained substantial weight, supported the first born in many ways during the tenure, had a child who had severe addiction problems, and has gotten out of the limelight for now. His wife also had legal problems which were pretty severe. The other youngest male child has stayed invisible through it all never really making it to media attention. The world does not really easily know his name or face. Ironically, he was the handsome child of the group. The third born son at the time of the separation anxiety when their sister was dying: rode out his personal scandal and has stayed away from media attention during the last years. This situation shows what can happened through separation anxiety and magical thinking of children caused by the separation anxiety. Also it shows how roles can be held rigidly and some of the repercussions of playing out family roles when perhaps the person may not really want to play that particular role at all. The family of origin information is a strong predictor. For those seeking subconscious information, the family of origination evaluation can show the role they have played, any renegotiations to another role that may have happened with or without repercussions, and how to understand the role within the family system. Understanding can be pivotal to having a healthier lifestyle. With understanding, pitfalls can be avoided, communication can be assisted, and health can also be assisted. It is the old philosophy of the truth shall set you free. The first born, next born, and last born all have role characteristics. People can play a role in the family, a modification within society, and can pick and choose characteristics that are beneficial in all interactions. The key is to understand what is happening and what the buttons are which bring on automatic reactions. Having been trained in family of origin therapy, I can usually spot the role a person is playing very quickly. Most of the time the role follows birth order , but not always. Sometimes, people refuse a certain role and it goes to someone else in the family to play. Also, lots of years between births can alter the traditional role. At a gathering a few years ago, pictures were being taken of some siblings in attendance. The child of one of these siblings wanted to capture the event in pictures (she was the oldest daughter of one of the people throwing the party). She wanted the picture to reflect birth order of her family. The second born son who was a mature adult balked like a child when asked to move from number one position. He literally reverted to childhood and took a whine tone to his voice by saying: “I am the one who acts the most like the first born.” He reluctantly, very reluctantly, was moved to the birth order position in the picture taking line. His button, by the way, is recognition and power. It is dangerous for that to be hidden in the subconscious because a manipulator could use that in a dangerous manner. It was obvious that he never realized that he fell into the whining child role in front of family and guests present to help celebrate. It was quite interesting, recently to see a birth order role played out in the national media. 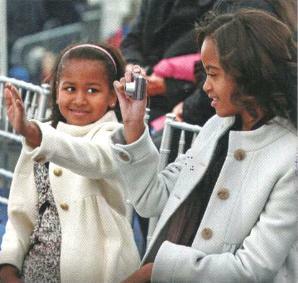 The young child of a man in the national news recently wanted to preserve the family history of the day by taking her own camera, which is a young child’s camera, and taking pictures of her family all the way to the last leaving of the White House for balls that night. Her parents and sibling were all respecting her position in the family as family historian by posing for her. It brought tears to my eyes to see this young child playing her role. Here she was at a young age, with her camera, diligently doing her job which was to preserve and protect her family. 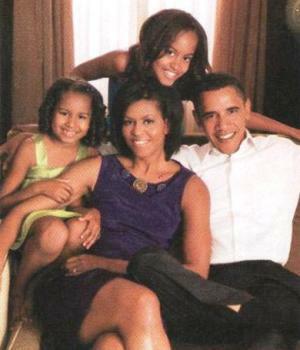 The picture below of this young family speaks volumes. If you will get out informal pictures and look, you can see positions within a family of origin. The oldest daughter here is positioned in a position of importance with her head leaning towards her Dad. Many write-ups in the paper and magazines talked of her preserving the memory of this eventful day for this family with her camera. She is obviously the first born and playing a first born positive role. There are many pitfalls which she can fall into with this role connected to health, relationship, and life in general. However, at her young age she is the preserver of history with her effort and camera. See the picture below and get out some of your family pictures and look at them to see how they literally paint a picture of family dynamics. The picture below is of an only child. You can see that all attention goes directly to this child which can be good and bad. She doesn’t have anyone with which to experience things, but also all energy does come to her. If the energy is all peace and calm, things go well. However, if not, resilience has to be developed in order to survive. Also, parents have a tendency to triangle an only between them in times of conflict. Similar characteristics show up in the lives of only children and first born children as evidenced by both of these preserving the history of their family. Since she was a little older she had a video camera. Order your own personal family of origin analysis and with any other analysis ordered (Tree, Mandala, or Handwriting), you will assist the information you obtain by having an evaluation of your Family of Origin position. As stated earlier, having knowledge of the role you are playing with the positives and pitfalls will powerfully assist you in life and your well-being. you order the analysis and then a questionnaire will be emailed to you for you to complete. After you complete the questionaire a detailed analysis with recommendations will then be emailed back to you.